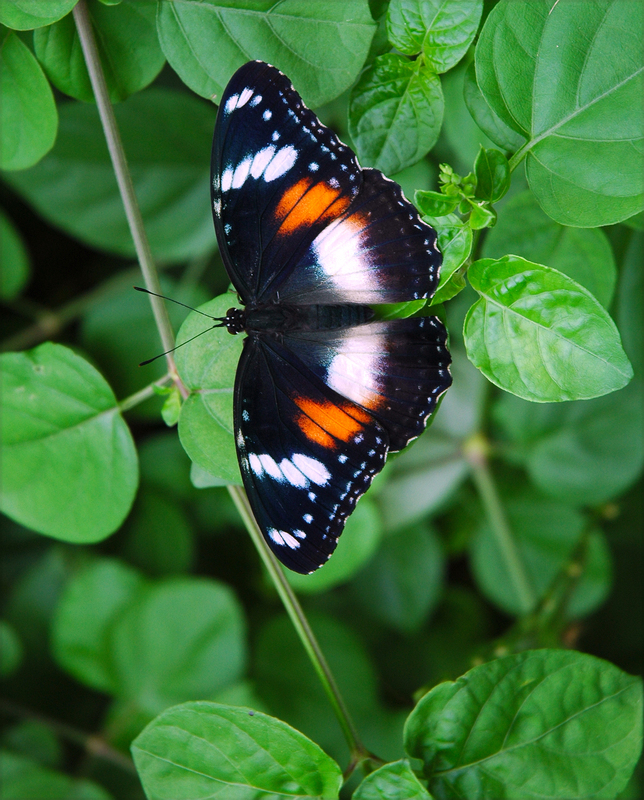 Also known as Great Eggfly , Common Eggfly and Blue Moon butterfly. It is a species of nymphalid butterfly. The Love Flower, Pseuderanthemum variabile. Native Mulberry, Pipturus argenteus (In captivity). Sweet potato, Ipomea batatas (in captivity). Their flight is described as a loose punctuated gliding mode of flight, with a rapid jerking when alarmed. The females are mimics of noxious danaines, adopting the sailing flight of their noxious counterparts. A widespread and common butterfly in northern and eastern Australia, across a wide variety of habitats. Often found in urban gardens.